I feel bad for trolls. 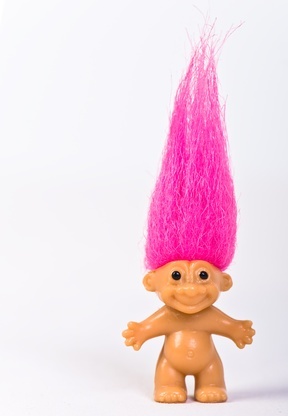 No, not internet trolls but their namesakes, the ones of my childhood that hid under fairy tale bridges, and later became a shirtless, shoeless good luck toy with crazy rainbow hair. I feel bad for those trolls as they are now forever associated with the act of internet trolling and no longer seem to turn to stone in the sunlight as they once did when I was a kid. Even Hollywood tried to revive their good name by making the recent “Trolls” movie. Those trolls even pooped cupcakes, a sure sign that they couldn’t be all bad.